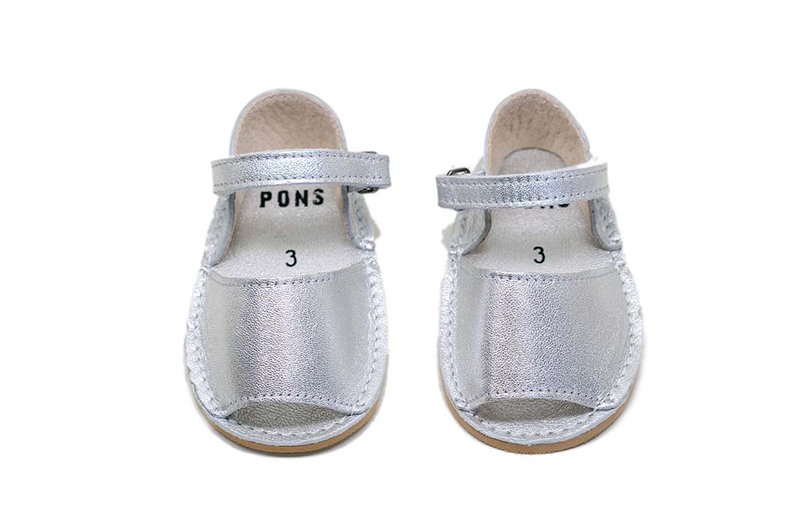 Let your little one shine with these Little Frailera Pons Avarcas for Kids in Metallic Silver. These little Pons can be the little shine of tinsel needed during the holidays or the perfect sparkle for the everyday. Handmade in Menorca, these kids Avarcas are crafted with buttery soft leather, feature a small ankle strap with a buckle closure and have a lightweight, flexible slip-resistant sole.